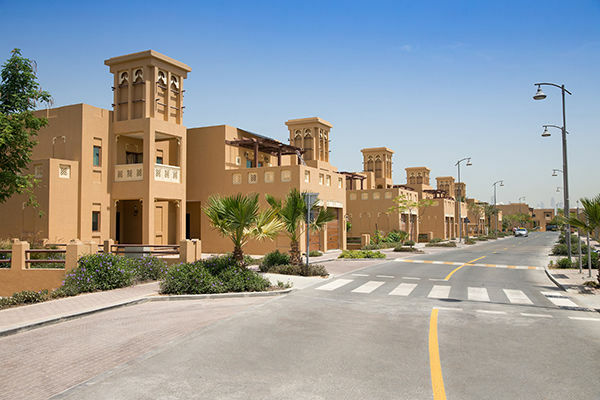 Al Furjan is a huge master residential community located south of Dubai near Jebel Ali in the United Arab Emirates. It lies between Sheikh Zayed Road and Mohammed Bin Zayed Road, adjacent to the Discovery Gardens community, the development is accessible from Al Yalayis Street and Al Asayel Street. The master developer of Al Furjan project is Nakheel, a property developer based in Dubai. 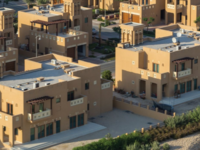 Al Furjan is a master-community which means that it consists of several sub-developments including projects by developers other than Nakheel like Azizi and Danube, so villas for sale in Al Furjan are available in a wide variety. The four main villages of Al Furjan are North, South, East and West. The project expands over an area of 5.6 million square meters; it comprises 4,000 various housing units including villas, apartments, hotels and commercial units as well as mixed use plots. Al Furjan is a well-planned project that offers beautiful landscapes, lush greenery as well as many great amenities such as schools, public parks, outdoor sports facilities and a community retail center bustling with shops, restaurants and cafes. There are several types of villas for sale in Al Furjan. Al Furjan villas for sale are exceptionally designed to offer all modern comforts, featuring spaces that are functional and elegant at the same time. Villas for sale in Al Furjan suit couples and families of any size,as they are available in various sizes and designs. You can find three-bedroom villas, four-bedroom villas, five-bedroom villas and up to six-bedroom villas for sale in Al Furjan. 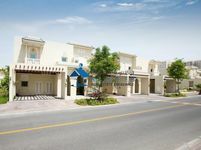 Villas for sale in Al Furjan are available across all 4 villages. 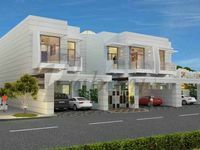 The villas will be designed in 2 distinct styles the Dubai Style villas and the Quortaj Style villas, both are beautifully designed. Dubai Style aptly reflects traditional local architecture and design. The architecture is based on local trends; it is contemporary, comfy and absolutely spectacular. The Quortaj villas on the other hand are influenced by North African style. They combine an eclectic mix of colors and textures. With their stunning arches, attention to detail and rich architectural elements they combine Arabian and Mediterranean styles. Why buy a villa in Al Furjan? All villas for sale in Al Furjan are set amid beautiful landscapes and offer close access to all amenities. They are also elegantly designed with excellent facilities. Prices for villas for sale in Al Furjan range from 2000,000 AED to 5000,000 AED, depending on the size and the location of the villa.Villas for sale in Al Furjan are more than a convenient home; they provide you with an amazing investment property. The area continues to develop magnificently, and is bound to become even better over time. With close proximity to Ibn Battuta Mall, Dubai Marina and JBR as well as to major highways to get anywhere in Dubai, this is a perfect location to live.